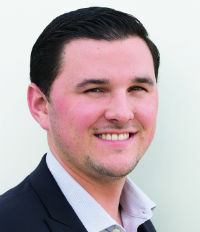 As head of Bolton & Company’s cannabis practice, Corey Tobin plays a crucial role in helping cultivators, manufacturers and distributors navigate a complex insurance and legal landscape. In the process, he has grown his book of business to more than $500,000, in large part due to his expertise and impeccable work ethic. As an active member of the insurance committee for the California Cannabis Industry Association, Tobin is a thought leader for many stakeholders in the industry. He routinely blogs and speaks on panels that are setting the course for the cannabis industry.